Dr. Orison Swett Marden was an American inspirational author who wrote on success in life and how to achieve it. His writings discuss virtues and common-sense principles that make for a well-rounded, successful life. Many of his ideas are based on New Thought philosophy. 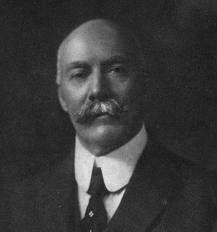 Orison Swett Marden was born in Thornton Gore, New Hampshire to Lewis and Martha Marden. When he was 3 years old, his mother died at the age of 22, leaving Orision and his two sisters in the care of their father, who was a farmer, hunter, and trapper. When Orision was 7 years old, his father died of injuries incurred while in the woods. As a result, the children shuttled around from one guardian to another, with Orison working for five successive families as a 'hired boy' to earn his keep. During his early to mid-teens, Marden discovered a book by Samuel Smiles entitled "Self-Help" in an attic. The discovery of this book marked a turning point in his life and inspired him with the willpower and ambition to improve himself and his life circumstances. Marden valued the book as if it were "worth its weight in diamonds" and virtually committed its contents to memory. He held a deep respect and admiration toward the author and his desire was to someday inspire others the same way as Samuel had done for him. Mardens early life was marked with remarkable energy and unbroken achievement. By his early 30's, he had earned academic degrees in science, arts, medicine and law. After his college years he became the owner of several hotels and a resort, and remained a successful hotel owner until his early 40's. Swett Marden had a unusual ability to strike a chord with his readers, encouraging them with hope and firing them up with an ambition to achieve their dreams and goals. The privations of his childhood and youth, his broad education and his wide business experiene in early adulthood contributed to, and enabled him to write with sympathy, understanding and depth. Marden published over 60 published works throughout his career, averaging about 2 titles per year. Several of Marden's books became best-sellers and remain classics in the genre of self-help. Each of his books produce dozens of famous quotes, and he is considered the base and inspiration of dozens of modern authors of self-help and motivation. In 1897, Marden's Success magazine grew a large following. The article's that Marden wrote for the magazine focused on self-culture, personal development and principles of success. Other article featured Marden's personal interviews of successful people and notable figures such as Teddy Roosevelt, Julia Ward Howe, Thomas Alva Edison, and Alexander Graham Bell; and leading industrialists such as John D. Rockefeller and Andrew Carnagie. Marden served as editor-in-chief in supervising the publication of the Consolidated Enyclopedic Library (1903 - 1907). He was also a regular contributer to Elizabeth Town's New Thought magazine, Nautilus, during the first two decades of the 20th century. During this time he served as the first president of the early New York City based New Thought organization League for the Larger Life. Like many authors of the New Thought philosophy, Marden believed that our thoughts influence our lives and our life circumstances. He said, "We make the world we live in and shape our own environment." Although he is best known for his books on financial success, he always emphasized that this would come as a result of cultivating one's personal development: "The golden opportunity you are seeking is in yourself. It is not in your environment; it is not in luck or chance, or the help of others; it is in yourself alone.